How do I capture directly to an image using the Print Screen key? 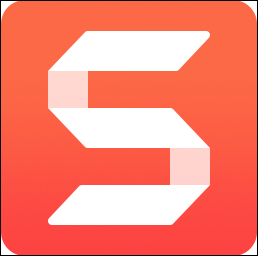 Select Start > TechSmith > Snagit to open the Capture Window. Confirm Print Screen is set as the Global Capture hotkey under the red Capture button. To change the hotkey to Print Screen, click in that area and press the Print Screen key. Choose your desired Selection, Effects, and Share settings. Press the Print Screen key to take a capture with the selected settings. Hover over the Capture Window and select the gear icon > Preferences > Hotkeys. Change the Global capture hotkey to another key combination other than Print Screen. For example, to change to Shift + Print Screen, check the checkboxes and select a key from the dropdown. Hover over the Capture Window and click Manage Profiles. 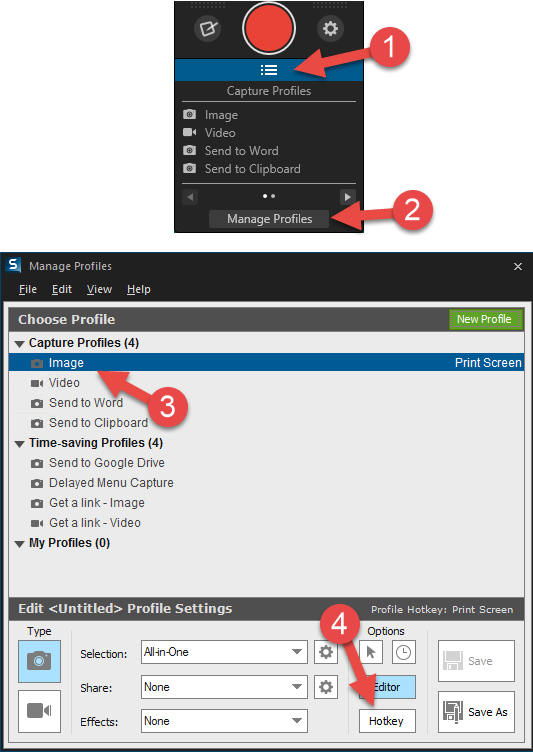 Select the Image capture profile. Set the hotkey to Print Screen.